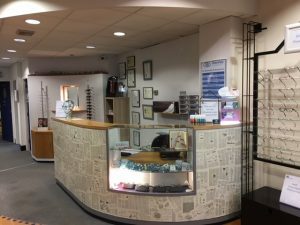 Waveney Eye Care NI now have two Optometrists who are fully trained and accredited to provide the new emergency eye care service available to patients. The service allows your local Optometrist to be your first port of call if you have red or sore eyes or if you think you have got something in your eye. 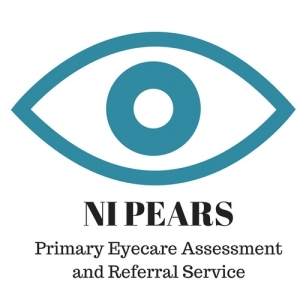 NI Pears is a service provided by accredited optometry practices for patients who develop a sudden eye problem. Over 100,000 patients in Northern Ireland attend hospital annually with eye problems, but many could be dealt with close to home by a local optometrist, freeing up hospital eye service appointments for more serious cases. Appointments are available during normal working hours and you will be seen within 48 hours. What happens at an NI PEARS assessment? Give advice and treatment if required. If the optometrist recommends an eye medication they will either direct you to your pharmacist to purchase the medication or give you a form to take to your GP to have a prescription issued. The optometrist may also recommend a follow up appointment. 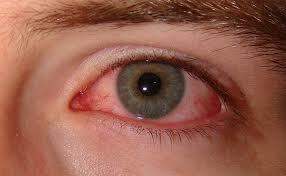 Refer you directly to the hospital eye service if the condition is more serious.